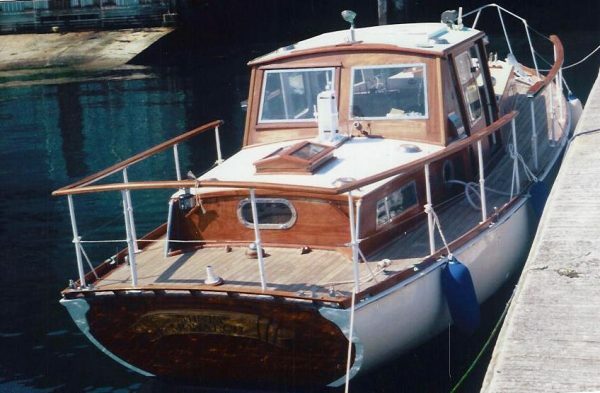 A 1963 ‘Miss Silver’ Class Ketch Rigged Motor-Sailer?designed by John Bain and built by James A. Silver Ltd. of Rosneath, Scotland. 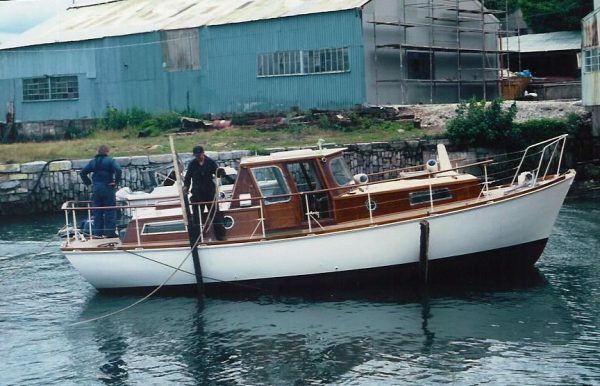 ‘Misty Monarch’ is undoubtedly one of the best examples available of this popular class of motor-sailer designed by the famous marine architect John Bain and built by Silvers of Rosneath. James A. Silver need little introduction as one of the finest yacht yards of their day. Established in 1910 they built a range of quality motor-yachts and motor-sailers until their closure in 1971. John Bain was a director and marine architect with Silvers from those early years until his retirement in 1957. In the early 1960’s Silvers revised a 1948 Bain designed yacht ‘Silver Minx’ and produced a series of spacious fifty/fifty motor-sailers which they named the ‘Miss Silver’ class. Many of these vessels have made remarkable voyages and several are in the Med. 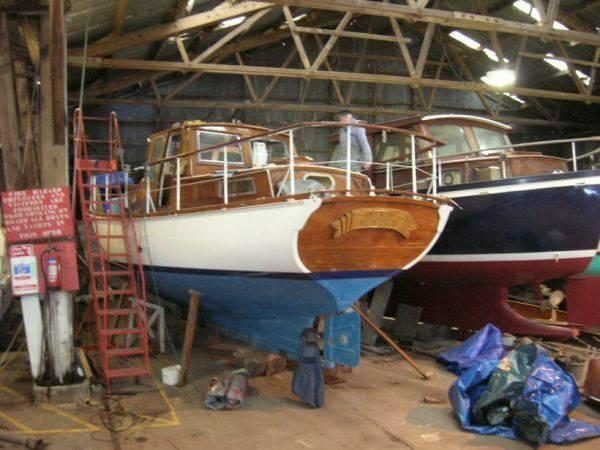 In the present nine year ownership ‘ Misty Monarch’ has been the subject of a comprehensive re-fit by professional shipwrights and her knowledgeable owner. A list of work undertaken is available. Carvel Mahogany planked hull, copper fastened to steam bent oak timbers. Teak laid decks, varnished Mahogany superstructure. 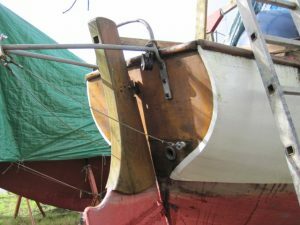 Long keel, iron and lead ballast, steel plate rudder. 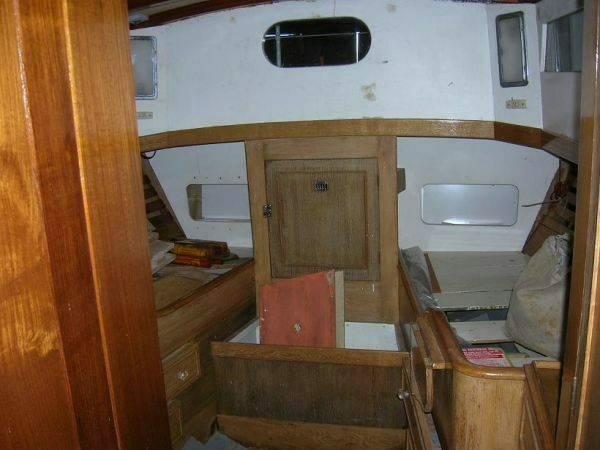 Saloon with two upholstered settee berths port and starboard with lockers behind and below. Drop-leaf cabin table, wardrobe, glass fronted cabinet, cutlery drawer, coach-roof hatch. 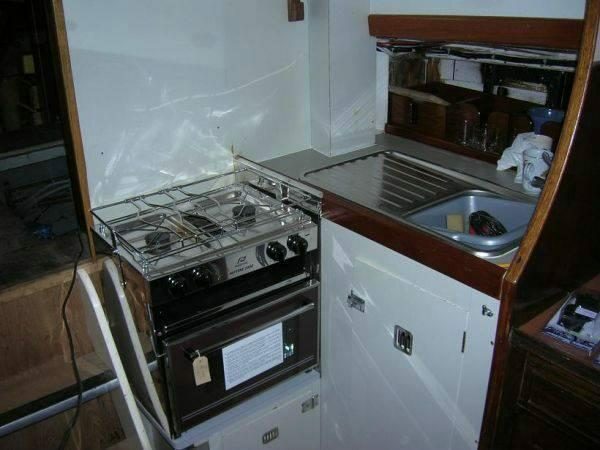 Galley with gas cooker having oven and grill, sink (h&c) with draining board, dish rack, pantry and crockery lockers. 50 gallons freshwater capacity. Heads Compartment with marine wc and washbasin. 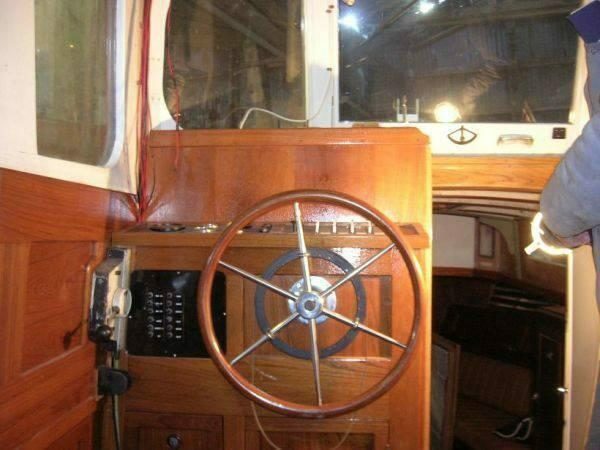 Wheelhouse with teak panelling, port helm position and instrumentation, chart table, vented gas bottle stowage, Husen VHF, Garmin 65 GPS, Furuno Video Sounder, Compass, Navico HP5000 Autopilot, Furuno 1721 Radar, EPRIB. 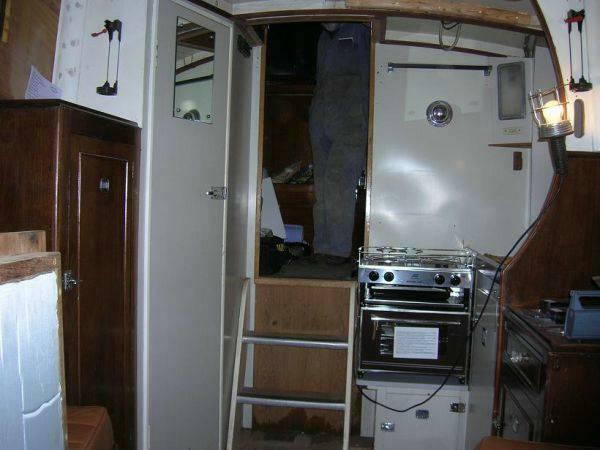 Seating, sliding side-deck doors and access beneath sole to the engine room. Perkins 4108 four cylinder 50hp diesel engine. Last serviced 2008. Two fuel tanks 40 gallons total capacity. Three blade bronze prop. Approx. 8 knots / 6 knots cruising speed. Two heavy duty 12 volt batteries. 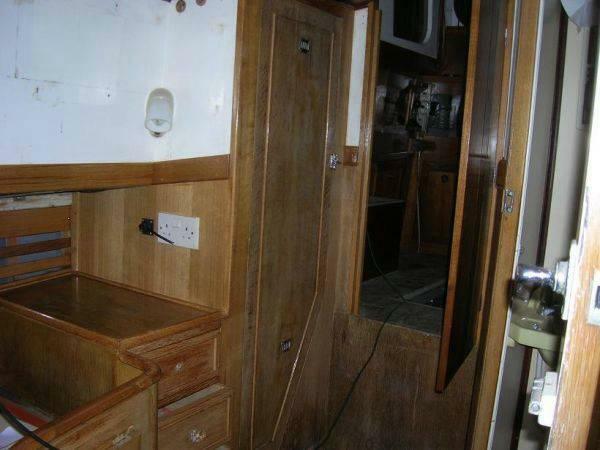 Aft cabin finished in limed oak joinery with twin upholstered berths having drawers under, wardrobe, lockers and coach-roof hatch. 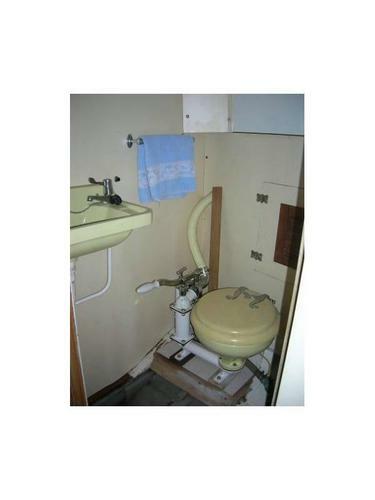 Heads compartment with marine wc, washbasin (h&c) cupboards. Masthead bermudian ketch rig with deck stepped Spruce mast and booms. Stainless-steel standing rigging. Red terylene sails include main, mizzen, jib and genoa. Furling headsail. Electric anchor windlass, 30 fathoms chain. 35lb CQR bower and 35lb kedge anchors. 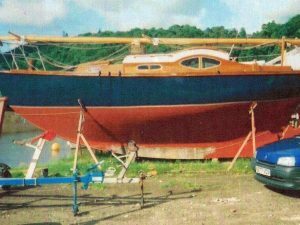 Avon Redcrest dinghy with long shaft Seagull OB motor. 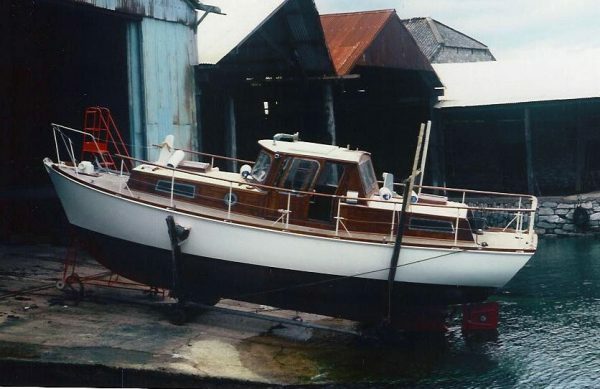 Over the years Classic Yacht Brokerage have sold several ‘Miss Silver’ motor-sailers which are popular for both coastal and estuary cruising. 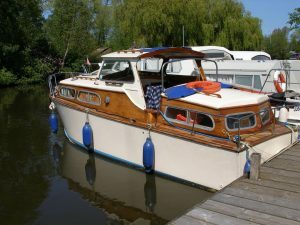 ‘Misty Monarch’ has been the subject of very considerable expenditure in recent years, far in excess of the guide price, she is only for sale due to the advancing years of the current owner. A purchaser will acquire a first rate vessel with offers considered on the guide price. Possible part exchange for a Fairey Fisherman motor-sailer. Last surveyed 2009. Inspection recommended.